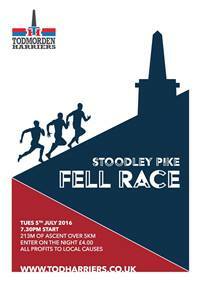 The Stoodley Pike Fell Race is a quick dash up and down Calderdale’s most famous landmark. 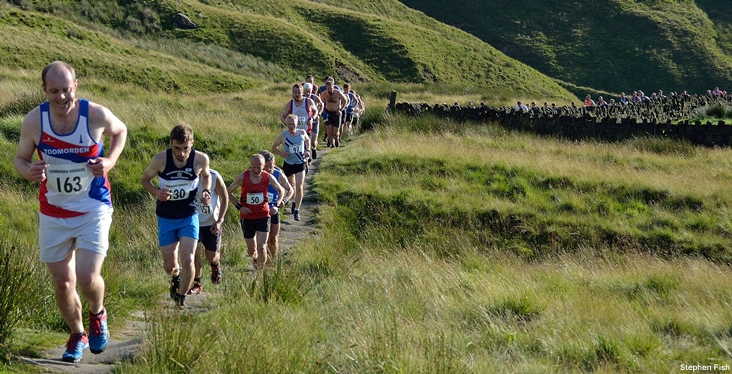 The longest established fell race in the area (started in the 1970’s), it never fails to get a good crowd, perhaps drawn by the sunny conditions that Todmorden Harriers like to arrange for this event. All profits from the race benefit deserving local causes. Tues 3rd July 2018. 7.30pm start. Category ‘BS’ race with 213m of ascent over 5km. Kit Requirements - PLEASE READ! 2. 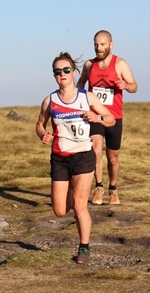 In accordance withe FRA Guidance (Safety Requirements Section 12.1) all competitors should arrive at all fell races prepared to carry/wear the kit specified by the Race Organiser on race day to meet the FRA minimum requirements. This could include any or all of the following: full waterproof body cover, hat, gloves, map, compass and whistle. You must ensure that the kit meets the standards set out by the FRA (ie jacket and overpants marketed as waterproof, with integral hood, taped seams and reaching below ankles). There may be kit checks at the start and finish of the race. 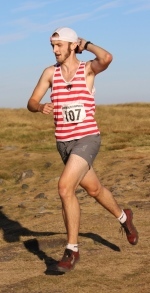 Failing to carry the kit specified by the Race Organiser will result in disqualification and become a disciplinary matter reported to the FRA. 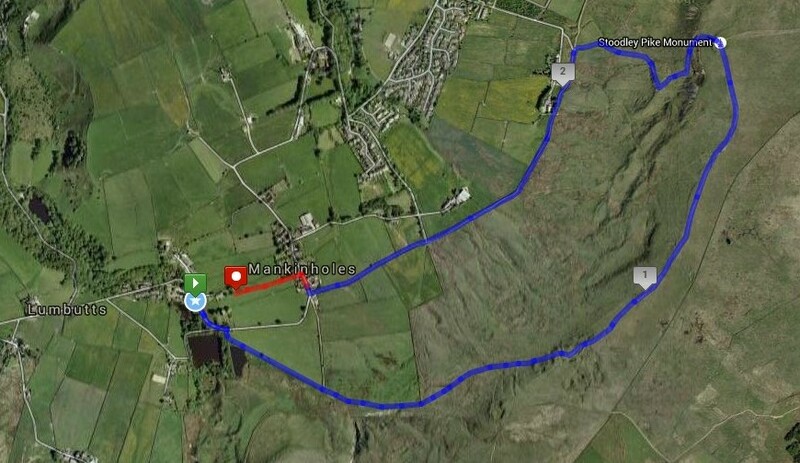 Race HQ is The Top Brink Inn, Lumbutts, Todmorden, OL14 6JB. GR956236 on the OS South Pennines Sheet 21. If the ground is firm and the grass has been cut we should have the use of the field at the back of the pub for car parking. If wet and soggy parking will be on the roads which could cause a few problems. Either way, please car share if possible!